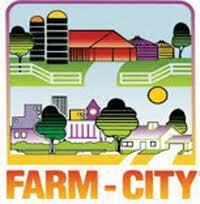 The 63rd Annual Farm City Banquet will be held on Thursday, November 1, 2018, at 6 p.m. at the Boone United Methodist Church located on New Market Boulevard in Boone. The theme for this year’s banquet is “High Country Grown” to celebrate the home grown success of our county’s farms and the community and town folk that support them. The banquet and awards ceremony is organized annually by the Town of Boone, ASU, and N.C. Cooperative Extension ofWatauga County. This year, the program includes special guest, Nashville singer, songwriter, and author Radney Foster, who will share music and stories from “For You to See the Stars.” Radney finished writing and editing his first book, a collection of short stories, here in Boone. Following dinner, supplied from local farms, awards will be presented to those in our farming, civic, and business community who have made significant contributions to our agricultural economy. Commodity groups also will award their respective producers of the year, and the Watauga Soil and Water District will present the Farm Family of the Year award. The Boone Chamber of Commerce will present the “Tuckwiller Award” to recognize achievements in Community Development in memory of the late Lake Ernest Tuckwiller, past Watauga County Farm Agent. Door prizes of baskets full of locally produced foods and goods will be drawn from ticket stubs, and acclaimed local artist Richard Tumbleston will be on site to finish an original painting highlighting this year’s banquet, which will be given away as the final prize. The Watauga County Farm Bureau is our Platinum Sponsor this year and encourages both farm and city folk alike to join in on an “old-fashioned supper” catered by Lost Province. Our Gold sponsors are Mast General Store & New River Building Supply and Lumber Co. and Southern Ag; our Silver sponsors are: Hollar & Greene Produce Co., Carolina Farm Credit, BREMCO, the Watauga County Christmas Tree Association, Todd Combs, Inc., and PHARMN. We thank all our sponsors for their wonderful support in helping to make this event a very special Banquet for our community. Tickets are $10.00 per person (children 5 and under eat for free; children 6-12, $5) and can be purchased at the N.C. Cooperative Extension, Watauga County Center, 971 W King St., Boone. No tickets will be sold at the door and ticket sales are limited to 250. For more info, please call 828-264-3061. • We're Looking for Your Old Farm Photos! • Farm City Banquet 2018 Winners! • 62nd Annual Farm City Banquet Nov 2, 2017 - Tickets on Sale Now!